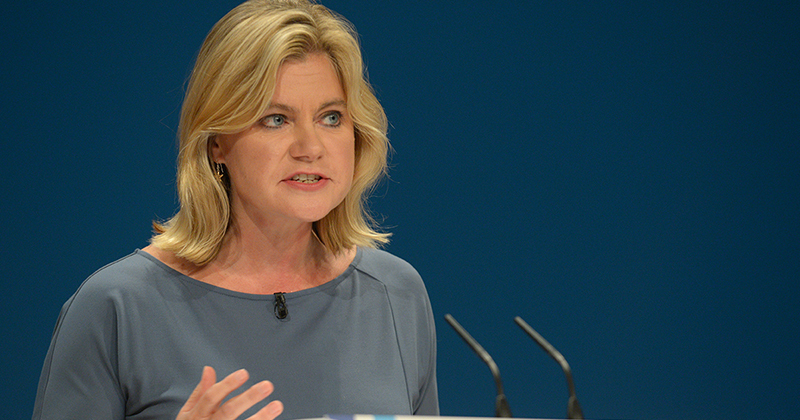 A firm commitment to “transform” technical education was made by education secretary Justine Greening, in a Conservative Party Conference speech that stressed the government’s Skills Plan will be a “big focus” for her. She told delegates yesterday (Tuesday) there had been a “renaissance in apprenticeships” over the last six-and-a-half years, and she was now determined to put technical education “on a par” with academic-based study. “For too long the technical education they want hasn’t been good enough,” said Ms Greening. The Skills Plan, which prime minister Theresa May largely ignored in her closing conference speech today, was unveiled by former skills minister Nick Boles in July. It will see 20,000 post-16 vocational courses replaced by 15 ‘pathfinder’ routes – covering college-based and employment-based training. This reflected the recommendations of an independent panel, led by Lord Sainsbury, which was set up by the government in November 2015 to look into reforms to technical and professional education. Ms Greening also singled out three areas that “we really need to pull together” to boost technical education – FE colleges, “the huge extra investment in apprenticeships from our biggest companies” and university technical colleges. The inclusion in this list of UTCs for 14 to 19-year-olds will have come as a surprise to many in the sector, given their well-documented struggles to recruit enough students. An investigation by FE Week in February revealed that the 15 UTCs that opened before 2013 were running at about 50 per cent capacity. Four of the technical schools have had to close their doors due to low student numbers, and a further three have been hit with financial notices to improve by the Education Funding Agency. The education secretary added: “Last year 48 per cent of our young people went to university, but 52 per cent didn’t. Following on from Mrs May’s widely expressed desire to improve social mobility, since she became prime minister in July, Ms Greening told delegates technical education would be at the heart of a reformed system of learning that would break down social “barriers”. “We are transforming our academic route, now we must do the same for technical education and skills,” she said. “We need a world class education system that works for everyone… all of our young people. Ms Greening’s speech was her first at party conference since she was appointed education secretary on July 14 this year – and also the first since the Department of Education took over responsibility for FE and skills from the former Department for Business, Innovation and Skills.